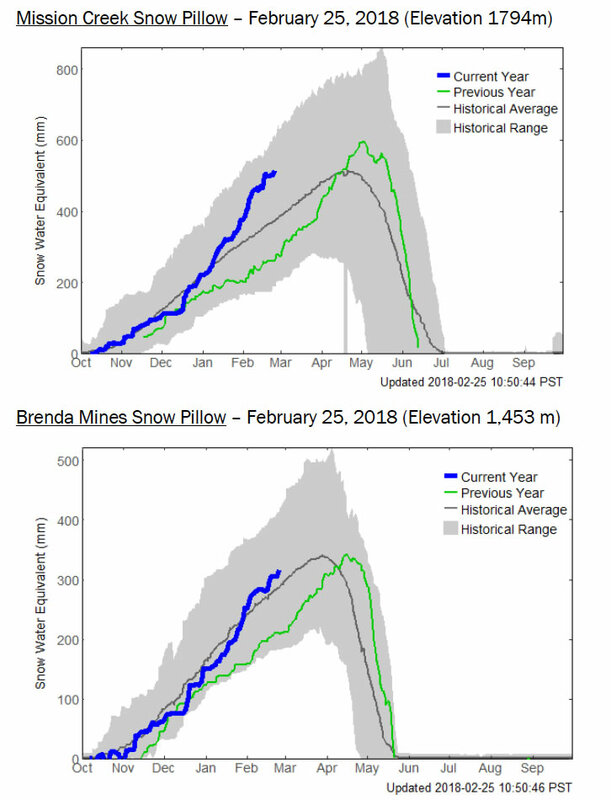 We continue to have an above-average snow year, with the current levels in Mission Creek approaching the peak multi-year average amount for late-April. 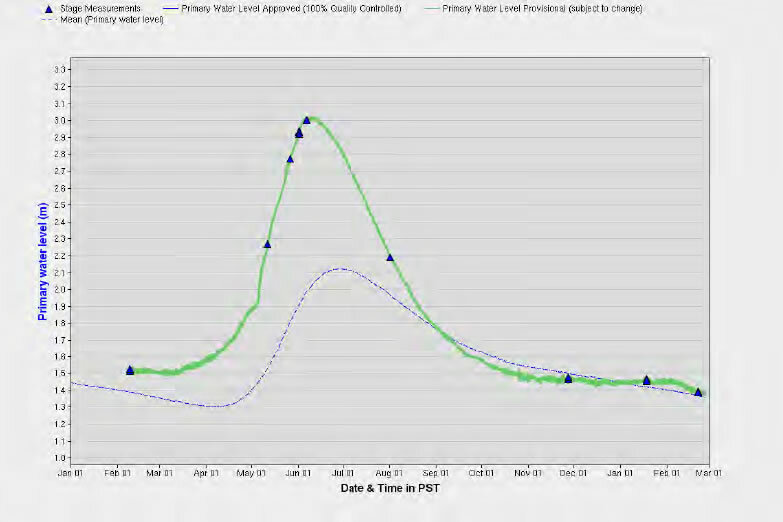 This means that if it stopped snowing today, we’d have close to average snow-water available on the mountain. Brenda Mines is trending closer to average. Okanagan Lake Levels – February 25, 2018. The province is trying to bring down and hold down lake levels, anticipating the greater-than-normal snow pack. Strange weather – The most dramatic weather news this month was about two heat waves. Temperature records were broken all over the Mid-Atlantic region of North America. (for example, 80 degrees F in Maine). 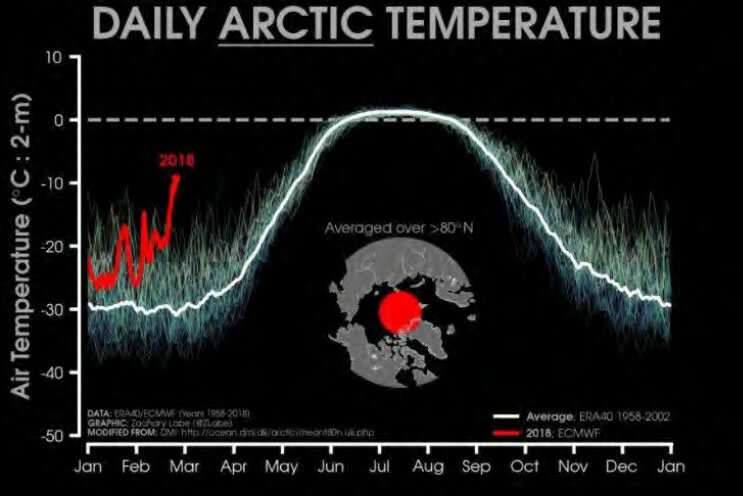 There has also been a very dramatic warm spell on the North Pole. Even USA Today is calling it Global Warming.